2008 CHEVROLET AVALANCHE WITH LEATHER, CLEAN!!! 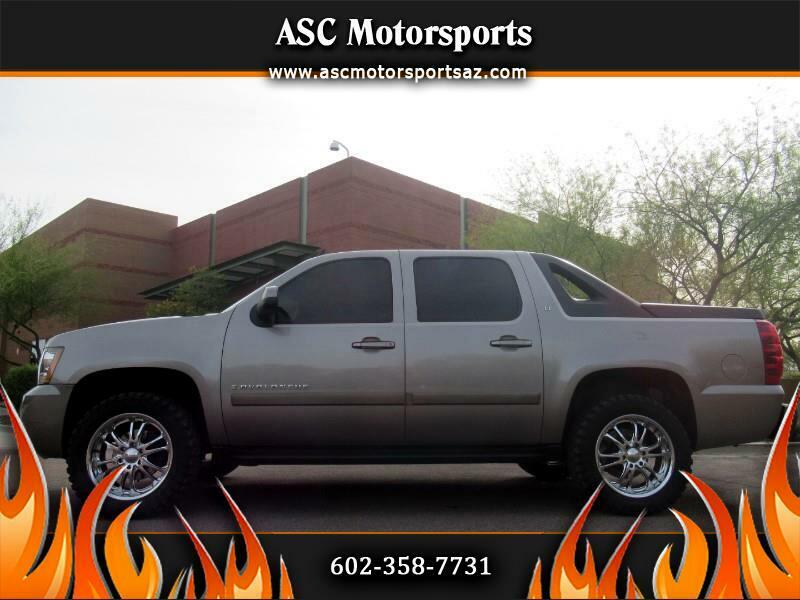 Truck has pewter exterior and black leather interior, looks, runs & Drives great!!! 213k miles, 2 wd, front and rear cold A/C, power windows, power locks, power steering, power mirrors, power seats, AM/FM/CD, Bluetooth stereo, cruise control, tilt wheel, running boards, tow package, tinted windows, bed liner, bed cover, sitting on brand new 33" tires and 20" Alloy wheels, Priced at only $8,888 + Tax, Title and Doc. fees. Good truck for a good price!